and received this beautiful print of her original painting. made not on paper, but on thick plastic board, and you dont need to frame it,you can put it everywhere. The colors and quality just amazing! The print is weatherproof, not fade from light, and can be hung without the frames! 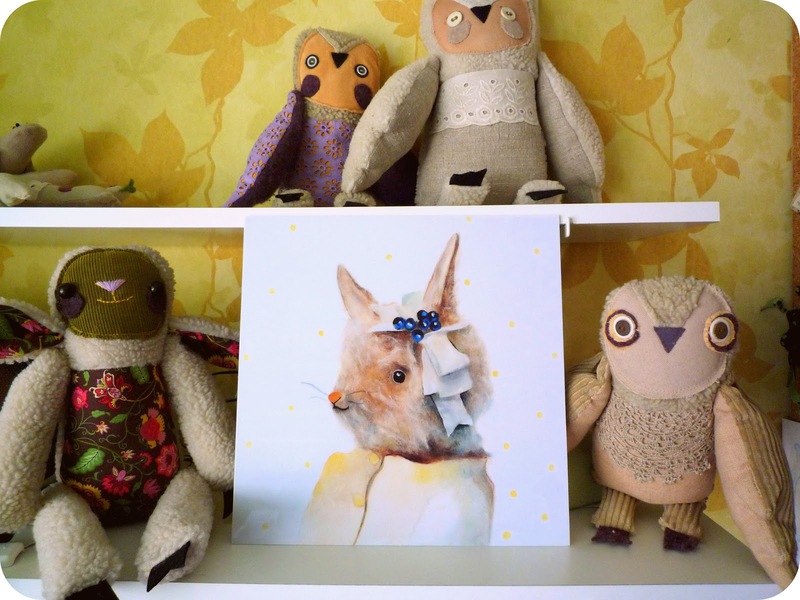 Go check Amalia's etsy shop, she have cute prints and original paintings there! The prices are very friendly. 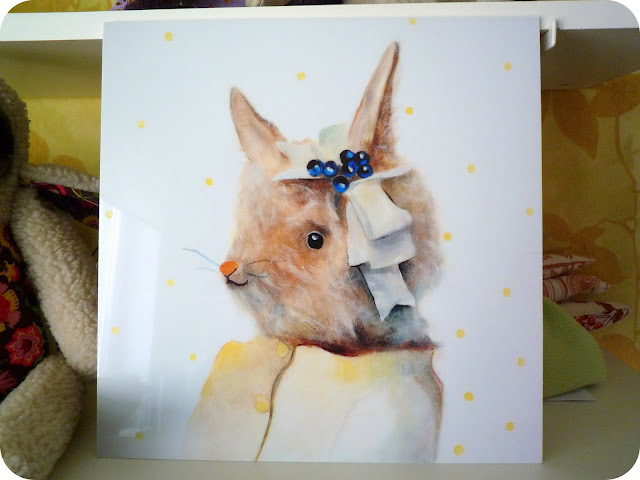 You can find differents little friends - the cats, elephants ,bunnies, bears and many others for your home decor or they will be a perfect gift for mothers and children, and will decorate perfectly any nursery. 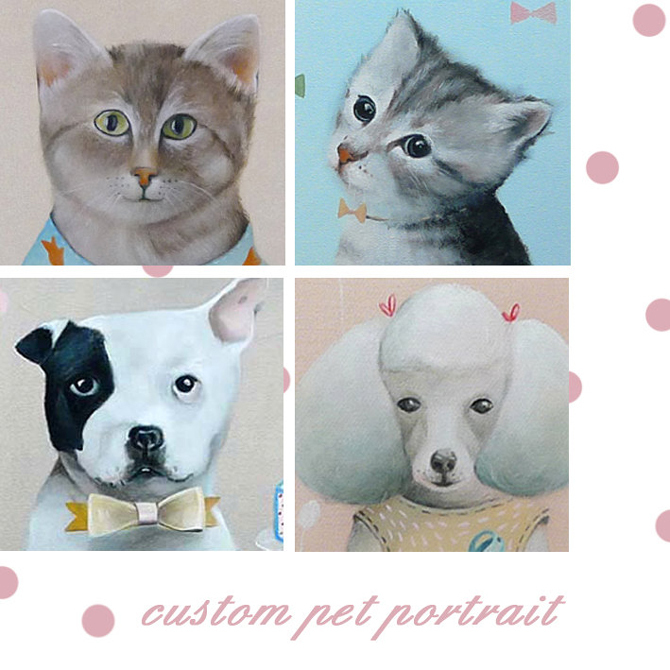 You can even order a custom pet portrait.It could be the best gift for the animal lover or for your own pet . I am your Big Fan!! 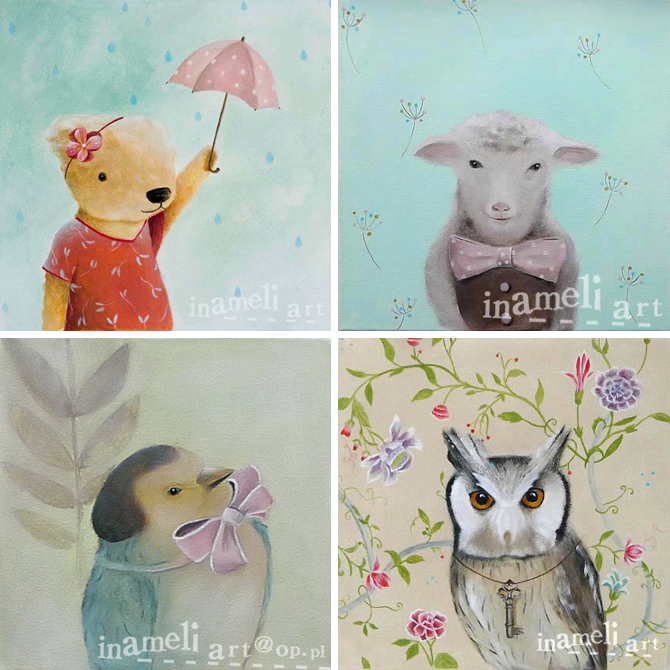 Thank you for featuring her artworks! :) I'll visit her shop now.